The Pinochet-style coup in Egypt in July 2013, 40 years after the Chilean coup, gives pause to reconsider Islamic political strategy. It took Chile 25 year before Pinochet was arrested (ironically, in Britain on a Spanish warrant), and he died eight years later without being convicted at the age of 91. Chilean socialists retook power 27 years after the coup, but their party was no threat to capitalism, a pale ghost of Allende’s revolution. Is this the fate of the Arab Spring? As in Iran, in post-revolutionary Egypt, the initial mass movement for change quickly unraveled—secularists such as Nasserist Hamdeen Sobahi, and liberal Mohamed ElBaradei, initially cooperated with the Islamists before turning against them in the name of nationalism, not grounding their actions in taqwa. The Islamists proved helpless, faced with an army in the financial clutches of Washington, which in league with the judiciary and (now 40+) western-style political parties, stripped the Islamist government of meaningful power, sabotaged the economy, and carried out the coup approved in Washington, obviating the need for a messy invasion. The support of the newly uncorrupt government by the vast majority provided a brief window of justice (a doubling of the minimum wage, new freedoms for Islamists to organize grassroots initiatives to help the poor and encourage a revival of the faith, honest elections), despite the active sabotage of the old state structures, which the coup abruptly ended. Secular leaders, watching as the ‘soft state’ now under the direction of the Islamists became less and less relevant, mounted a hysterical campaign to overthrow the popular government, abandoning the revolution and calling on the old guard to take back control through brute force to end all pretense to justice. Siddiqui approves of Sayyid Qutb’s rejection of nationalism in Milestones (1964) and his call for broad-based revolution, leading to the overthrow of the imperialist order. But the revolution in Iran was not Qutbian. While nationalism was not a major force in overthrowing the Shah (who had tried to whip up a Persian Empire chauvinism to counter Islam), the unity of the post-revolutionary state in the face of invasion certainly relied on a gut patriotism. And the original uprising was largely peaceful (more like a general strike), and succeeded only when troops defected in large numbers, refusing to shoot the demonstrators. The Egyptian coup worked precisely because of the strident appeal to nationalism, and accusations that the MB was not concerned enough about Egyptians, more interested in liberating al-Quds (Jerusalem). Ironically, the coup united people outside Egypt in condemning it, while it split Egyptians largely based on the appeal of nationalism. Yes, Muhammad fought against narrow tribal identity and racism, but a benign nationalism can appeal to ethnicity and culture, and is not necessarily based on imperialism, exploitation, chauvinism, racism. Siddiqui’s militant analysis was appropriated by the al-Qaeda types, who he dismissed in 1996 as “pockets of obscurantist conservatism”, who also denounce nationalism (though they are noted for their Saudi/ Arab chauvinism), belittle western-style elections, and spurn a broad alliance with leftists/ liberals. 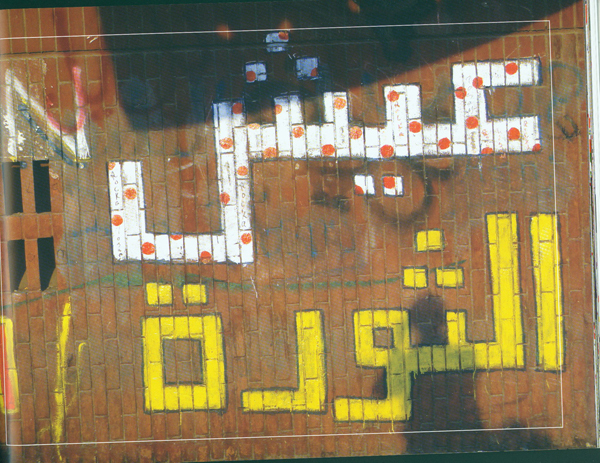 The attacks by the Egyptian Islamic Society and Islamic Jihad in Egypt in the 1990s resulted in the deaths of 800 Egyptian policemen and soldiers, rebels, and civilians including dozens of tourists. While there is a grudging respect for al-Qaeda-type martyrs among the Sunni masses, this mostly random killing of civilians (mostly Muslims) is antithetical to Islam, and has acted time and again to justify brutal crackdowns under Mubarak and today. Other conflicts of the 1990s involving Islamists (Bosnia, Kashmir, Afghanistan, even Egypt) have not led to any clear victories a la Iran. *Stark sectarianism continues to plague the umma, confirmed by the ongoing mass killings of Shia civilians by Sunni in Iraq, the persecution of Shia in Saudi Arabia and Bahrain, and the civil war in Syria. Iran’s example engenders more envy than respect among Sunni leaders, which sadly translated into popular suspicion of Iran and Shia. Siddiqui, like many other critics both Muslim and secular, dismisses the Muslim Brotherhood (MB) as a misguided tool of the Saudis and/or Americans, given that they sought political asylum in Saudi Arabia and the West under Nasser and Mubarak. But what option did they have? Whatever interaction there is between Islamists and imperialists is a two-way street, and the sharpened enmity between Islamists and secularists following the Egyptian coup is a stark corrective. The ongoing mass killings of MB supporters in Egypt is hailed by the Saudi and Gulf monarchies, whose real agenda as supporters of imperialism has never been clearer. Siddiqui uncritically praised the jihadists and Taliban in Afghanistan as true revolutionaries, defeating single-handedly the Soviet ‘empire’, ignoring the massive US-Saudi backing and the unholy alliance of not only the West and the new genuine Islamist government in Iran, but communist China, and the dubious Islamic qualifications of many so-called jihadists, who needed no credentials to be equipped with deadly weapons, who included mercenaries and drug smugglers, and whose understanding of Islam was a fundamentalist, dogmatic one, derived from the Saudi Islam-by-rote taught in madrassas in the mountains of Pakistan. It was these jihadists who were the tools of the Saudis and/or Americans. The same goes for Egypt’s liberals, not the MBers languishing in Egyptian jails or teaching in Saudi universities and now demanding the restoration of the elected government. The Taliban did more to undermine genuine Islamic renewal than to promote it. And how to explain that Iranian Islamists are implacable foes of Afghan’s Taliban, and staunch supporters of Syria’s secularist dictator against the motley array of ‘Islamists’ there? One thing that is ‘clear’ is that there is little b/w in politics, including Islamic politics. Iranian experience is indeed germane to the Sunni world, which will only move towards genuine independence through mass support for homegrown Islamists, in the first place, the Sunni MBs, culminating in the collapse of the existing neocolonial regimes. The Sunni Middle East was more thoroughly integrated into the imperial order, so this scenario requires that the empire withdraw its support for its local secular regimes, a prospect that is possible only with the unraveling of the neocolonial order itself. Power is central to Islam; you can’t relieve oppression/ injustice if you are weak. Muhammad was a brilliant political strategist, and his progress from simple trader to head of a powerful new socio-political and religious formation indeed deserves careful consideration by his followers today. For while earlier prophets also became rulers (Yusuf, Dawud, Sulayman), they inherited rule from previous sovereigns. Muhammad was the first to build a political formation from scratch, providing a template for any future Islamic society. What is the Prophet’s understanding of ‘power’? How did he acquire and use power? What role did military campaigns play in generating more power? How did the Prophet share power with others? These are the questions that Siddiqui raised and that Zafar Bangash addresses in Power Manifestations of the Sirah (2011), where he analyzes in detail Muhammad’s political writings—the hijra (exile), the Constitution of Medina, treaties with various tribes, letters inviting world leaders to Islam, and the Prophet’s final khutba (sermon)—and reflects on their relevance in today’s world. There are 250+ letters, treaties of the Prophet. The prophetic mission lasted 23 yrs, and the next 10 years saw the rapid triumph of Islam throughout the Arabian Peninsula, the result of careful planning, strategic alliances, and judicious use of force to neutralize the power of enemies without wholesale destruction or massacres. *The hijras (to Abyssinia, Medina) were necessary both for personal safety, to propagate the message of Islam and, in the latter case, to provide a base for establishing Islamic governance. In sending some of his followers to Abyssinia, Muhammad boldly wrote directly to King Negus, asking him to provide the Muslims asylum. The germ of an Islamic state whose leader held temporal power on the level of a king was there even in exile. *The Constitution of Medina, arguably the world’s first constitution, set new rules of conduct in a divinely conforming society: any believer in need is the responsibility of all other believers; Jews have equal status with Muslims; mercy is better than punishment, but punishment is also a form of mercy to ‘balance accounts’ and protect the umma; no individual/ group can enter into separate arrangements with enemies of the state. *The latter allowed Muhammad to make formal treaties with nearby tribes preventing them allying with the Quraish of Mecca, consolidating Muslim power. This culminated in the Treaty of Hudaybiya with the Quraish, where Muhammad made significant compromises to achieve his political goals, foregoing the hajj that year but established peace for 10 years. This implicitly recognized the Muslim state in Medina, allowing the rapid expansion of Islam and preventing further Quraishi conspiring. *Muhammad’s political testament came in his final sermon during his last hajj to Mecca, where he emphasizes the cultivation of an Islamic personality, the necessity of both economic and social justice, stressed the danger of riba (usury, based on greed) as opposed to sadaqa (charity, based on compassion). *To lead a revolution requires a strong, confident leadership, motivated by belief and compassion. Muhammad always remained optimistic, exuding confidence. He told Quraishi leaders who were persecuting him early on that they would conquer the Byzantine and Persian empires if they accepted Islam, already aware of his power and authority through his divine inspiration. They laughed at him and drove him out of Mecca, but he returned 10 years later peacefully—though he smashed their idols—and they willingly converted en masse to Islam. And together, the Byzantine and Persian empires were conquered. *Power must be consolidated in the hands of a just executive authority (state) to represent all factions in the body politic. Institutional injustice cannot be corrected by individuals alone. Whereas corrupt politicians seek to amass rights and wealth for themselves and minimize their responsibilities to society, Muslims even where they are a minority have an extra responsibility to society, based on belief that the worldly journey is a mere reflection of the spiritual one, and must reflect spiritual values. Without the fearless self-assurance that comes with acceptance of divine guidance, the individual as well as societies soon succumb to the corrosive influence of power and wealth. ‘Power corrupts; absolute power corrupts absolutely’, unless the leadership holds to moral laws above man. Islam regulates use of power to avoid the rich (powerful) using their advantage to exploit the weak (poor). Looking back on the fateful period in Egypt that marked the brief rule of the first Islamist government, there are many lessons to be learned. Not cynical Machiavellian ones, but ones grounded in the Quran, which must be read and reread (tajdid), the life experience of the Prophet (sira, sunna), and applied in our ever-evolving historical context (ijtihad). *The result of the Treaty of Hudaybiya suggests that when history is on your side (as Islamists believe) the old order can collapse quickly and a new order can be ushered in relatively peacefully. The Iranian revolution confirmed this, even in the age of empire, as did five elections in post-revolutionary Egypt. *Alliances with non-Muslims are always necessary, but beware traitors. *Yes, nationalism is dangerous, but it is wrong to ignore the real forces at work, which must be harnessed. *Sharia and an Islamic state are essential, but they are concepts which evolve and require careful input from both scholars and the umma. Just how the MB’s relations with other ‘progressive’ forces could have been better is a moot point now. The MB leaders were unable to find common ground with the opposition, even those socialists whose aims are largely those of Islam—social and economic justice. Islamists have been traditionally intransigent towards socialism, dismissing it as just a variant of secular materialism, lacking a moral center. But trust-building is a two-way street, and there is little evidence of the opposition making any concessions in order to meet the MB halfway. 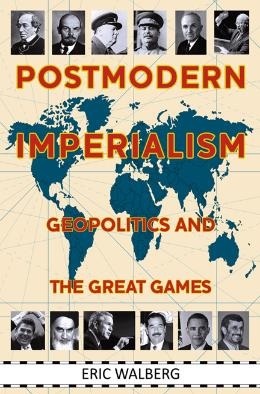 Essential to the success of the Islamist project today is recognition of the important difference between capitalism and communism—the latter based on social justice, banning of interest, speculation and exploitation, though flawed by its militant secularism. The Muslim Central Asian states, after several decades of state repression of religion, became far more prosperous than their neocolonial Muslim neighbors, and voted overwhelmingly to keep the Soviet Union intact. A reformed communism could arguably have accommodated a genuine revival of Islam there. This includes in Afghanistan, where the 1978 socialist ‘revolution’ was instigated solely by Afghans and was only reluctantly supported by Moscow, and where any thought of building an Islamic society was lost in the US-led insurgency and subsequent invasion. Perhaps we are now closer to a ‘global Islamic movement’ after the Egyptian coup. The need for Sunni-Shia convergence in confronting imperialism has never been clearer. The Iranian revolution as bellwether is as compelling as ever, even though attempts to emulate it have not yet succeeded. 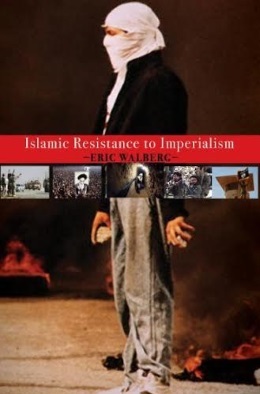 As well, there are some anti-imperialist forces in the West—both left and right—who see through the smoke and mirrors of Iranophobia and Islamophobia generally, and are readier now to work with Islamists in their common struggle. This is not central to Siddiqui’s pre-911 analysis, but his call for new revolutionary thinking by Muslims, based on the Quran and life of the Prophet, taking into account the historical context, leads logically to this. 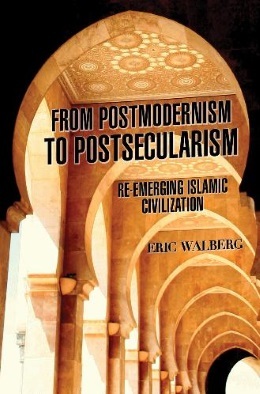 Are we in the home stretch for a re-emerging Islamic civilization? The Egyptian coup looks like a desperate last-ditch move to brand Egypt’s body politic indelibly with secularism. But the sands of time shift. The turncoat Salafi and the Mubarakite Al-Azhar sheikhs blessing the coup are already balking at the roughshod rewriting of a constitution that they earlier approved and partially wrote themselves. By banning the MB, torturing and murdering its members, confiscating their property, the secularists only dig themselves deeper into a hole. Astute US political strategists—even Senator John McCain and PNAC notable Robert Kagan—have denounced the coup, along with conservatives such as Ron Paul, though the coup was approved by President Obama, and western lefitist have—shamefully—been less categorical. Humanity’s real enemies have never been clearer. At the same time, terrorism and a prolonged armed insurgency is not the way to achieve victory, as the cumulative post-911 tragedies and now the tragic civil war in Syria demonstrate. Ballot boxes can provide a vehicle for shura (consensus), the bedrock of Islamic democracy. Islam is not going away, and the next genuine elections in Egypt will return the Islamists to power—as long as they remain united. The triumph of Islam will come only with patient and vigorous analysis and organizing, and patient pursuit of the socio-economic justice. Truth will prevail. Muslims believe this, and there is no reason after 14 centuries, during which Islam has continued to gain adherents, to believe otherwise.